Evil arch villain Butch Cavendish has been a burr on your saddle ever since he did in your dad. Now he's kidnapped the President just to lure you to your doom, and there's nothing but a trail of doom between you. 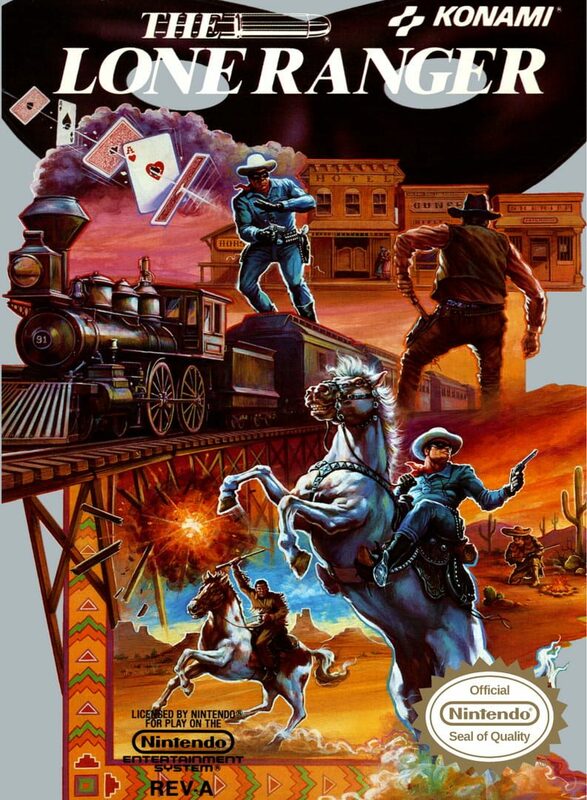 In fact, kemosabe, there's eight wild west stages of pistol packin' danger to run, shoot, and gallop through, including first person 3-D stages that put peril in a whole new perspective. So hop on your fiery horse Silver, track down that cad Cavendish, and rescue the President. Or with the speed of light and a cloud of dust you'll wind up a mere tumbleweed in time!